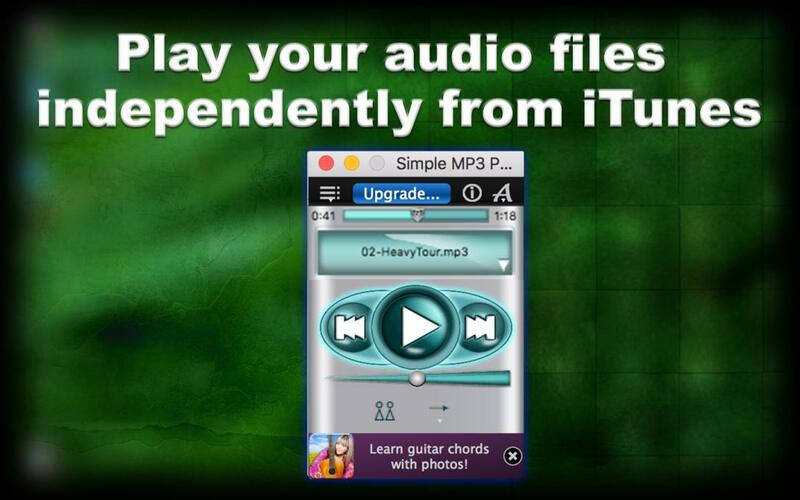 Play your audio files independently from iTunes. Simple MP3 Player Lite is a free, easy-to use mp3 music app that allows you to listen to your favorite audio files and ensures a high-quality playback. Out of all the virtual music players on the multimedia market, why should you pick the Simple MP3 Player Lite? Well, if you ever used your computer for playing music in mp3 or wav format, or if you ever held an mp3 player in your hand, you will definitely appreciate this app’s design and its simple and clear user interface. The app’s controls are just like the ones on a hand-held mp3 player: Play, Pause, Stop, Fast-forward, Rewind. 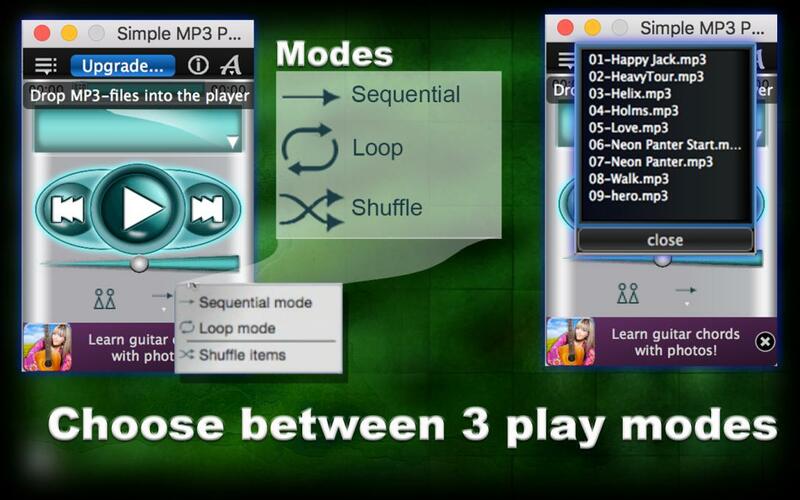 You can adjust the volume and choose any of the 3 play modes: in order, Loop or Shuffle. This is not just any mp3 player! In addition to the mp3 format, Simple MP3 Player Lite supports playback of AIFF, CAF, MP4, MP2, MP1, AAC, AU, M4R and WAV format.The app lets you upload your audio files in the working environment using Drag&Drop. (Note: The playlist of the lite version is limited to 10 audio files). The unique feature of our Simple MP3 Player Lite is ist Clone function. 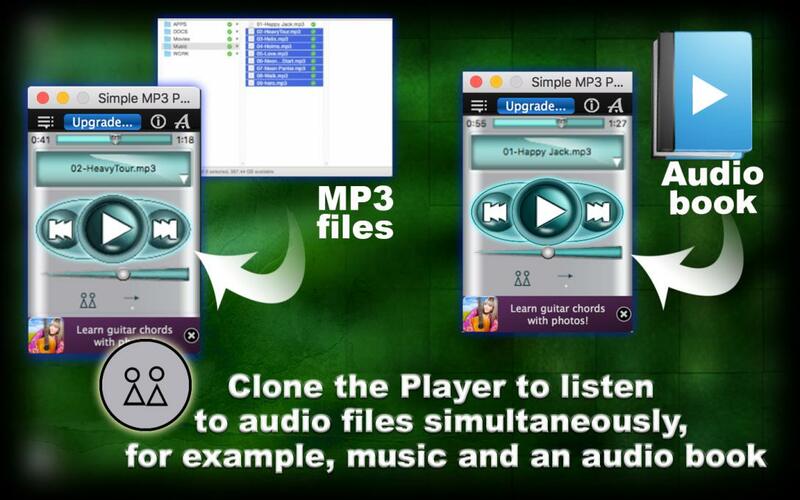 You can „clone“ the player and create a completely different playlist for player #2 (up to 10 audio tracks). Let’s say you have vocal music on player #1 and wav sounds on player #2.You can use both players either separately or together! Tests have shown that “Simple MP3 Player Lite” app carries out a task quickly and provides good audio quality. It is easy on system resources and does not affect the overall performance of your computer. 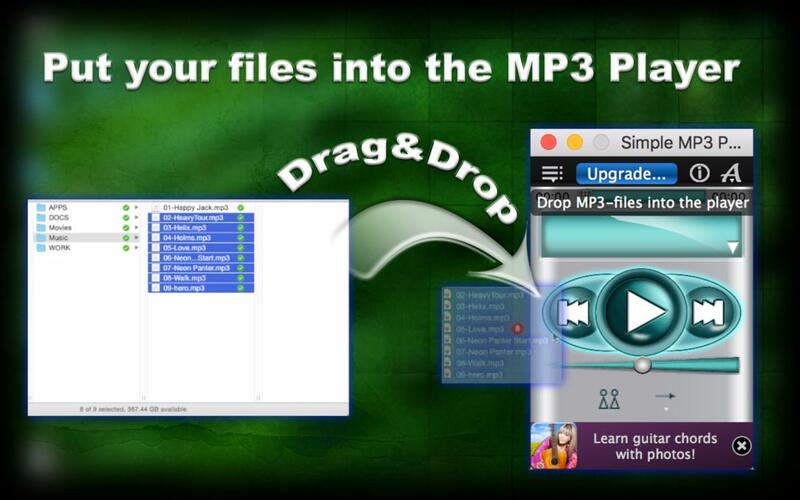 Try our full version of Simpe MP3 Player! If you are looking for a simple audio player that comes bundled with basic features to help you play your MP3 files (or mp4 files, or wav files, you get the picture! 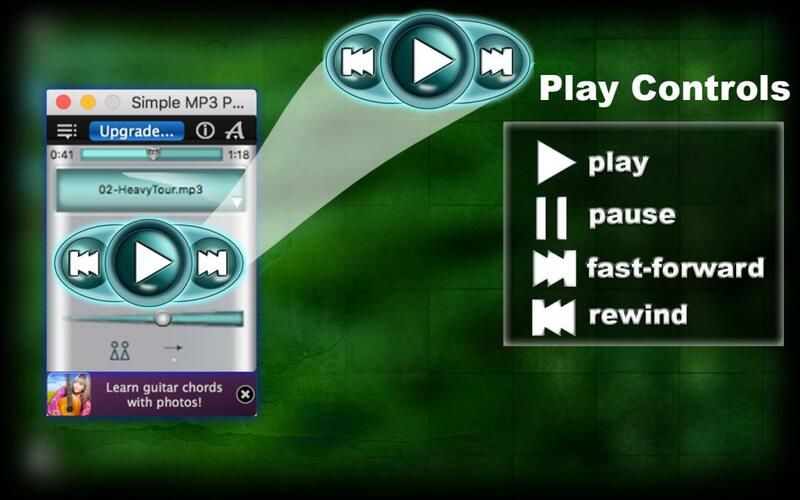 ), give “Simple MP3 Player Lite” a try! Check out our Introduction slides for more information. I just downloaded your Very fine MP3Player program. I believe it’s the application I’ve been looking for to drop ITunes. I do have two questions.Can I Drag-and-drop My library from iTunes, Including all my playlists, Movies, Podcasts etc.? Second question.What quality Is this MP3 player. I am looking to find a Close to SRS/I WOW type of Player if possible. Thank you for providing such a wonderful program. thank you for your feedback. Yes you can drag-and-drop the iTunes audio items direct into the player. It is not SRS/I WOW type, it uses the normal audio output facilities which are available on your Mac.